provide assistance for the transition to NDIS and enhance the quality of teaching and learning. 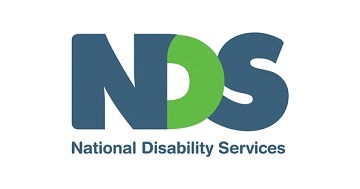 This interactive workshop has been developed by VDC and NDS for VET trainers and assessors to discuss NDIS and explore the workforce and VET implications on the delivery and assessment of NDIS related qualifications. The workshop is for Victorian VET and Learn Local Organisation trainers and assessors, curriculum managers and coordinators with experience delivering NDIS related qualifications (Certificate III in Individual Support; Certificate IV in Disability; Certificate IV in Mental Health; Certificate IV in Mental Health Peer Work; Certificate III in Allied Health Assistance and Certificate IV in Allied Health Assistance). Rosalie Flynn is an accomplished facilitator and consultant, with extensive experience in the education, health, community services, and NFP sectors working at national and state levels. Strengths include project management and managing complex stakeholder relations. Yumi Stamet is a workforce development expert with extensive knowledge of the trends and developments impacting the disability sector workforce gained through her years of experience as a workforce adviser with National Disability Services. Her current work is focused on creating person-centred workplaces where people can flourish and do their best work. Andrew Minge has worked in various roles in both government and community-based settings including disability, youth justice, child protection, adoption and permanent care, academia, epidemiology and mental health. Andrew currently works with NDS as part of the projectABLE team. Find the details of the workshops below, repeated across four dates. Follow the prompts under 'Register Here' to nominate a workshop to register for. To register into one of the workshops (sessions), select the number of tickets and enter your details - First Name, Last Name, Email Address. Click the 'Register' button to fill in further information of those attending and to select the workshop date. Once completed you will receive an email confirming your registration. If you do not receive this within 10 minutes, please contact us on 1300 917 150 or email info@vdc.edu.au.